Have you ever had a defining moment in your life? What makes something a defining moment? According to the dictionary, a defining moment is a point at which the essential nature or character of a person, group,etc. is revealed or identified. Some synonyms are critical moments, moment of truth, turning point and point of no return. In an organization, and specifically racing, there can be several defining moments in the life of a race team. I think Andretti Autosport is at a defining moment in the history of the organization. It’s not the first or last time, but it is a critical moment in time. 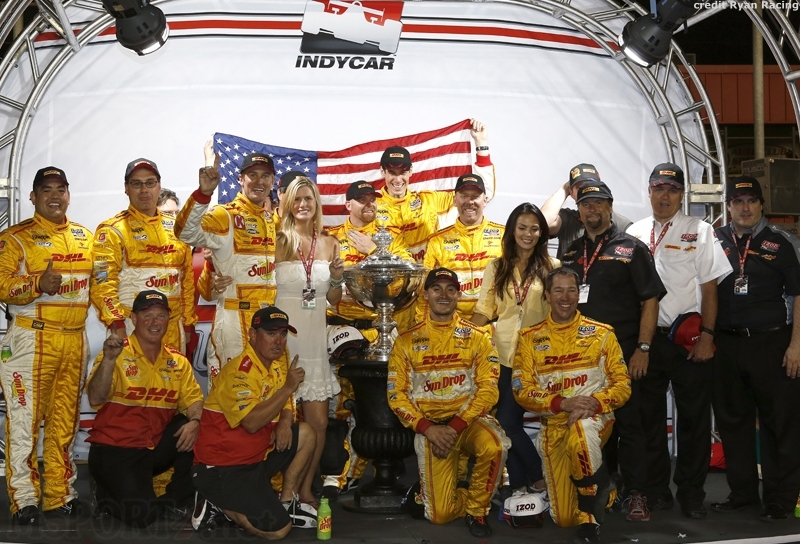 Ryan Hunter-Reay is the face of the Andretti Autosport Team. Since joining the IndyCar Series in 2007, Ryan has 12 wins, 26 podiums and 1 championship. Nine of his twelve wins have occurred in the last 3 seasons. He has been in the top 10 in the championship every year since 2010. He also won the 2014 Indy 500, the crown jewel of the series. He is the one guy that can go toe to toe with the best at Penske and Ganassi. Who else does Andretti Autosport have? Marco Andretti has been in IndyCar since 2006 and has 2 wins and 18 podiums. He has not won a race since 2011 and his best finish in the championship was 5th in 2013. Carlos Munoz just completed his rookie season in 2014. He has 0 wins and 4 podiums with an 8th place finish in the championship. Since it was announced that James Hinchcliffe left Andretti Autosport to drive for SPM, it has led to speculation as to who will be the fourth driver at Andretti Autosport. This has become a defining moment for Andretti Autosport. The team has been considered one of the three top tier teams, battling for the championship with Penske and TCGRT. If the rumors are true, Andretti should have the funding for the fourth car in place in November. This is where the dilemma starts and why it is so important. Andretti Autosport has two options. The first option is to hire the driver that can bring the most money to the seat/program. Let the bidding wars begin! If this option is chosen, it will be clear that it really is all about the money. The driver that can bring the most money doesn’t necessarily mean that the driver has the best credentials. I realize as a business the goal is to be profitable but you also want results. Penske has strengthened their team with talent and with Ganassi possibly having Sage Karam in a fourth car, he is making an investment in the future while Dixon and Kanaan vie for a championship. In my mind there is no question that Sage will be a future champion and will benefit from Dixon and Kanaan’s mentorship. So is it a wise choice for Andretti to go for the easy money route and have Hunter-Reay as their sole hope for a championship? I’d enjoy seeing Marco join Hunter-Reay but it seems he regressed from 2013. The second option is to hire a driver that can work with Hunter-Reay, is at the same talent level as RHR, Power and Dixon, and can take it to Penske and Ganassi. This option solidifies Andretti at the top with Penske and Ganassi as well. As you look out over the landscape, are there any drivers who meet that criteria? I believe there is one and only one driver that meets that criteria. His name is Justin Wilson. Justin had 4 wins in CART and finished second in the championship two years in a row in 2006 and 2007. Since joining IndyCar in 2008, he has 3 wins, 11 podiums and finished 6th in the championship in 2013. He has been on bottom tier teams with DRR and DCR. Fans have been asking the question “What would Justin Wilson do in top notch equipment with a top tier team?” He is highly respected by his fellow drivers and gets more out of mediocre equipment than anyone else. 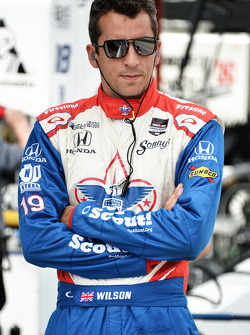 If Andretti is serious about winning and championships, then Justin Wilson is the only choice. RHR and Justin Wilson would be a formidable combination plus Justin has always been a team player.